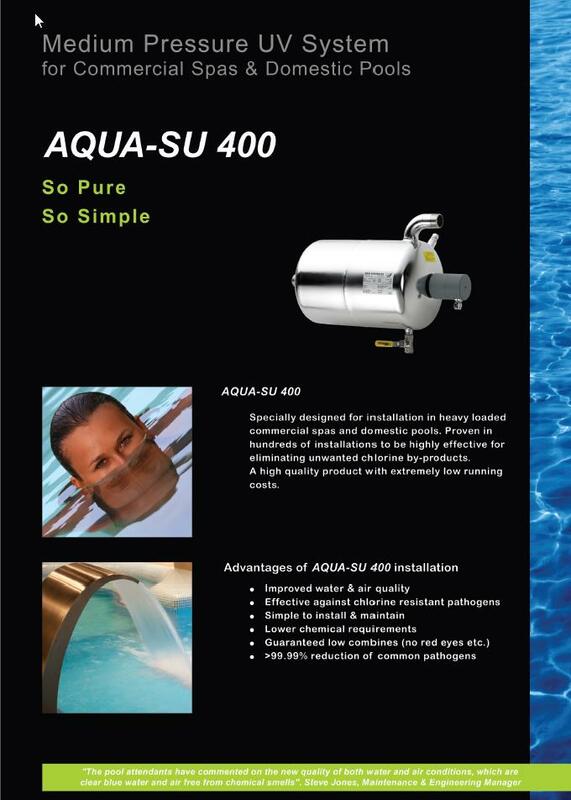 Whether you run a small domestic spa or a large public pool, Aqua System can help you to improve your water and reduce your use of chemicals, which is both kind to the environment and your pocket. 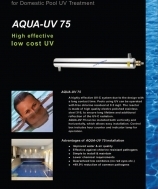 The AQUA UV System is developed for secured and guaranteed water quality in swimming pools. 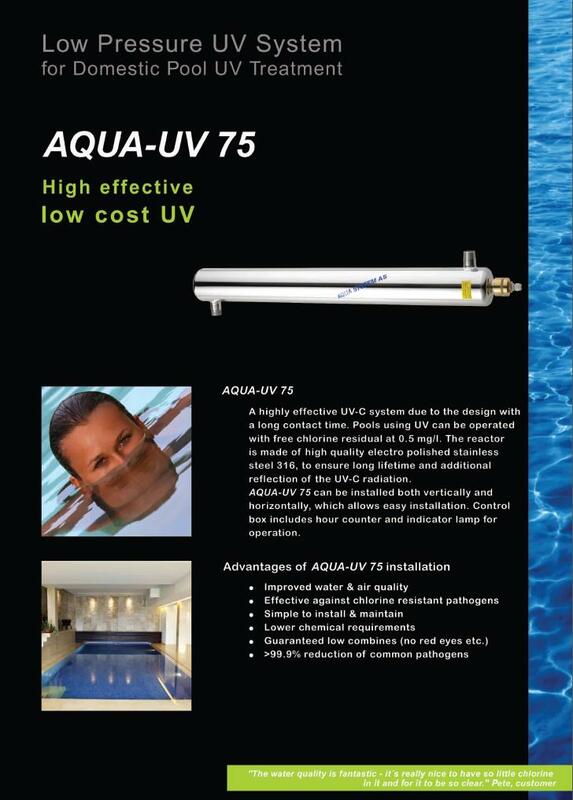 In this system the water is radiated by a patented combination of light sources of different wave lengths. 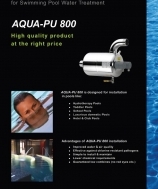 It builds on our long experience within water treatment and offers several features for improved water quality. 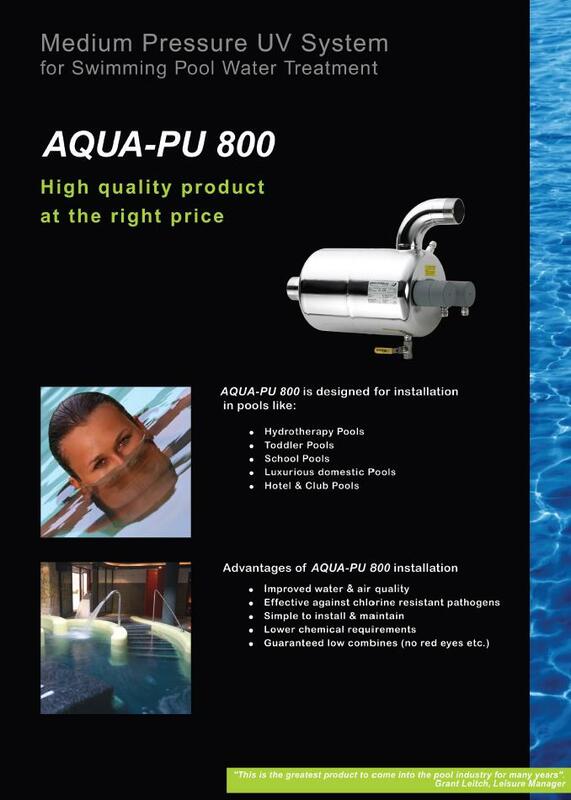 The AQUA UV System range includes models for commercial spas as well as public and commerical swimming pools with the most demanding disinfection requirements. 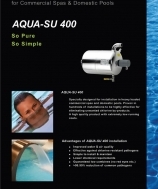 Take a look at our pool water systems and find out what we can do for you. As a Livingwell customer you will, no doubt, be accustomed to being in a great looking club with lovely facilities and clear pool water. That is the visible benefit of Livingwell membership. 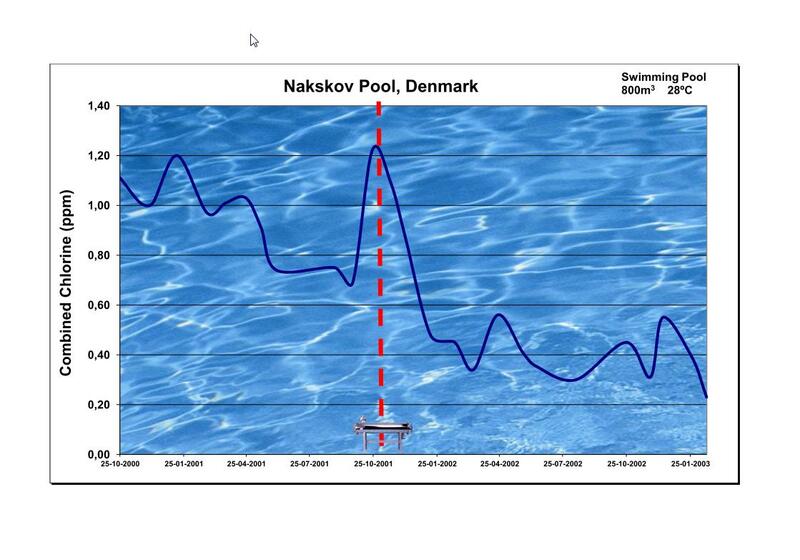 But, this graph shows some invisible benefits too. Ones that really matter to your health and that of your family. 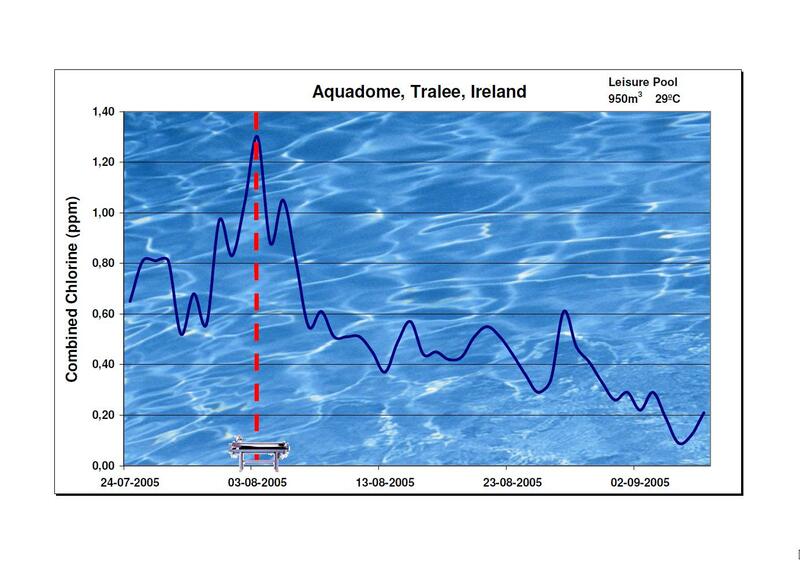 Maybe you have noticed that the pool water is rather nice these days? 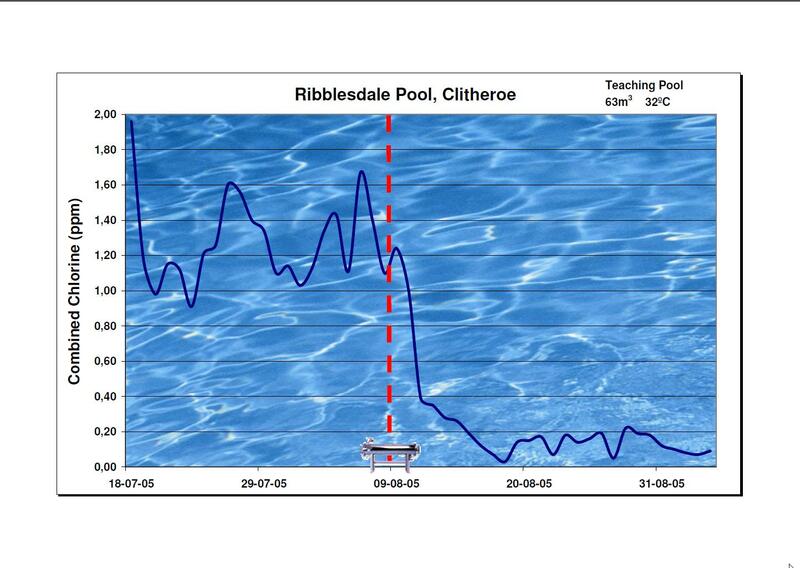 And that there is no chlorine smell? 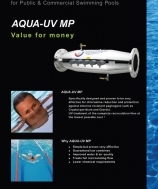 The reason is that we have installed a Danish ultraviolet reactor in the pool pump room to further treat the pool water to even higher standards. It means even healthier, cleaner water. But, it also removes something called chloramines. 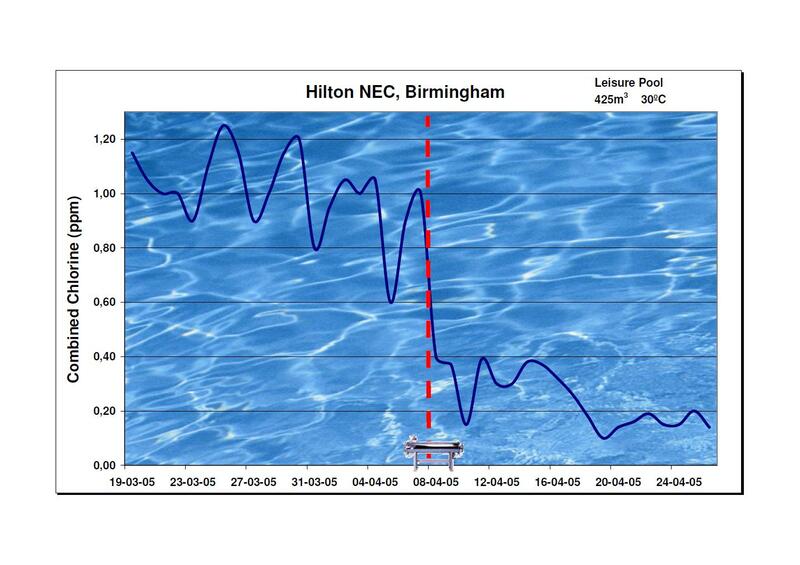 These are chemicals all pools get when chlorine, which is vital, mixes with organic matter, like hair or skin. 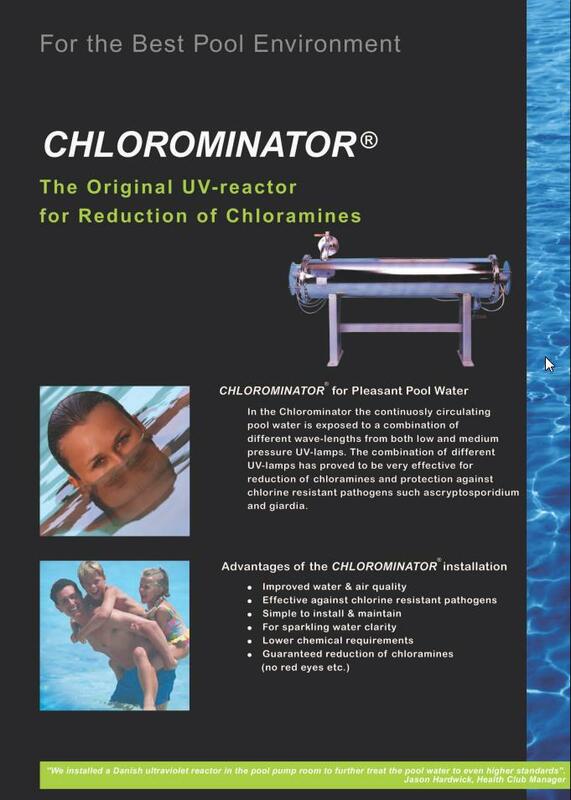 It is these chloramines, not chlorine, that give those stingy red eyes and nasty pool smells that many inferior pools have. You’ll note that we don’t have them here!. 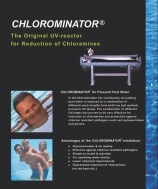 Chloramines aren’t just undesirable…they aren’t good for you in large amounts. 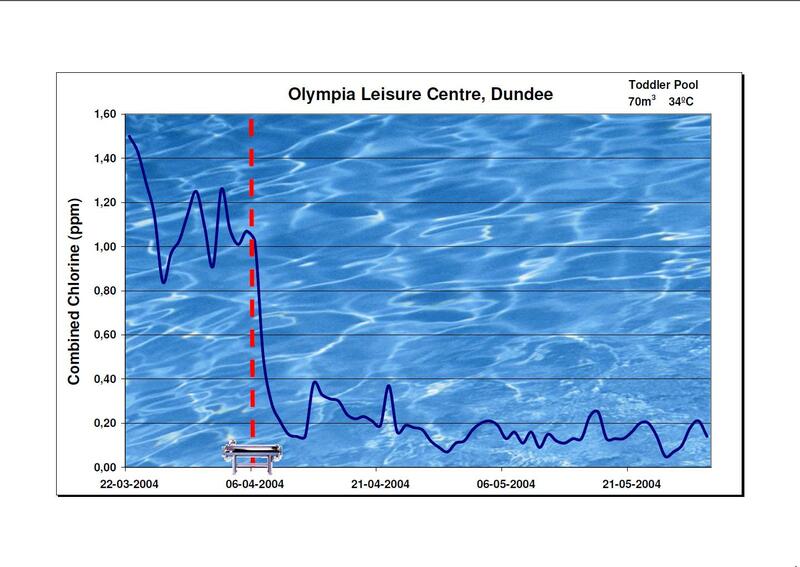 So, you’ll be pleased to look at the graph above and see how they have fallen to tiny levels here. 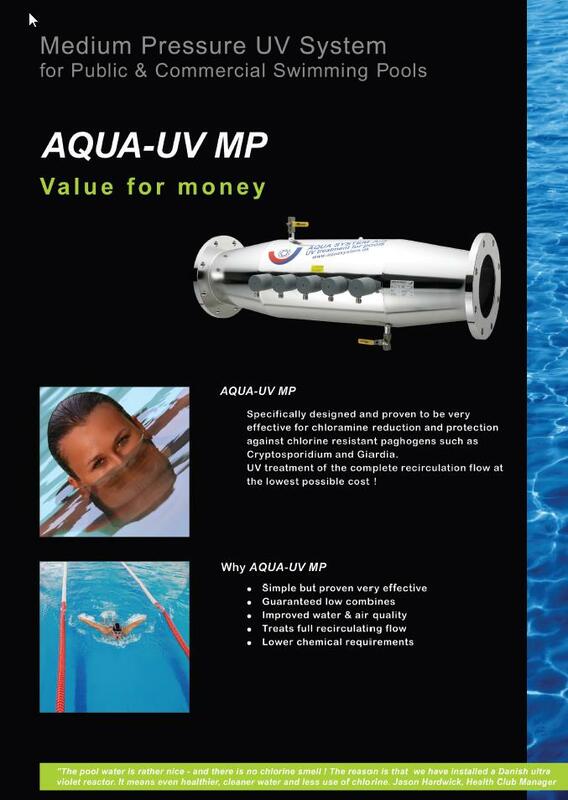 It means we can use less chlorine too..and thats good, you’ll agree. You can’t see it but it shows how Livingwell looks after you and yours just as well behind the scenes as it does where you can see! !